Ousman Joku has been birdwatching in Gambia since he was a young boy and is now among the most professional and experienced bird guides in Gambia. If you are simply looking for an introduction to bird watching in Gambia with day trips from the coast or a fully inclusive longer tour of Gambia and Senegal then Ousman is your man. Birdwatching in The Gambia is truly fantastic for both expert and occasional birdwatchers. For such a small country Gambia has a very wide range of habitats such as forest, wetlands, mangrove swamps and bush which together support over 500 species. With Ousman as your bird guide you will be guaranteed an amazingly rewarding Gambia birdwatching experience. If you are interested in Butterflies or Dragonflies then Ousman has also led successful tours for overseas clients. As an experienced local bird watching guide Ousman knows many places for birdwatching in Gambia and these are often very convenient for the coastal hotels where the majority of visitors to the Gambia stay. Ousman’s trips cover many of the well known areas like Lamin Lodge and Pirang Shrimp Farm as well as many less well known areas. The costs of birdwatching in the Gambia with Ousman are not high and why take a risk with so much to see? 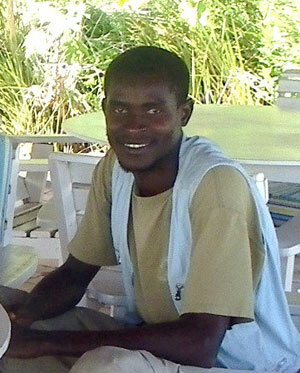 Use Ousman, a professional, local guide who has been birdwatching in Gambia since he was a child. Get inspired for your birdwatching in the Gambia by browsing our galleries of the birds you can see in the Gambia. Thanks to those guests who have been birdwatching with Ousman in Gambia and have allowed their photos to be reproduced on this website.